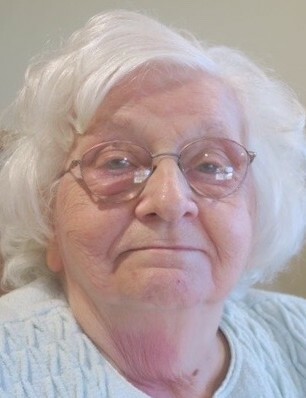 Doris M. Moyer, 91, of Londonderry Village, Palmyra passed away Thursday, March 21, 2019. Born September 20, 1927 in Williamstown, she was the daughter of the late Forrest and Marguerite (Finley) Grubb and preceded in death by her husband Jay W. Moyer in 2009. Retired from Triangle Press, Harrisburg as a proofreader, she was a member of Williamstown United Methodist Church. Surviving are her son Craig F., husband of Lois A. Moyer of Lawn; granddaughters Kimberly E., wife of Jeffrey Gravelle of Ayer, MA and Leslie A., wife of Matthew Crotty of Dauphin; and great grandsons Nathan Gravelle and Cullen Crotty. A private service will be held at Indiantown Gap National Cemetery, Annville. In lieu of flowers, contributions may be made in her memory to Londonderry Village Good Samaritan Fund, 1200 Grubb Road, Palmyra, PA 17078 or Alzheimer’s Association, 2595 Interstate Drive, Suite 100, Harrisburg, PA 17110.